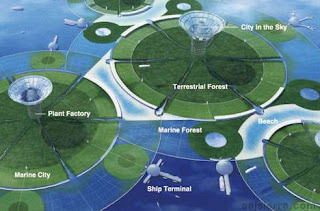 Shimizu, a Japanese technology company has designed a Green Float city concept where we all live like a single plant, blend into and living and growing harmoniously with Nature as part of the ecosystem. 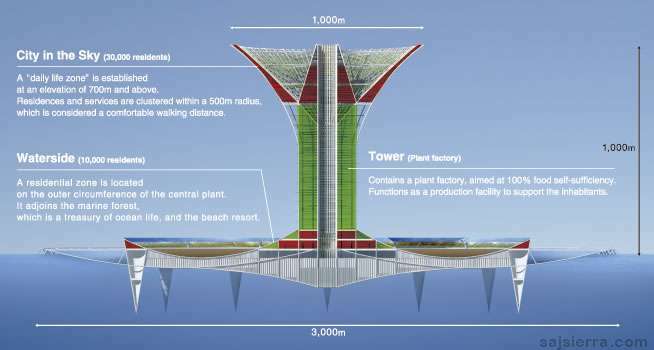 A futuristic city that grows just like a lily floating on the water where the sunlight is plentiful and the impact of typhoons is minimal. 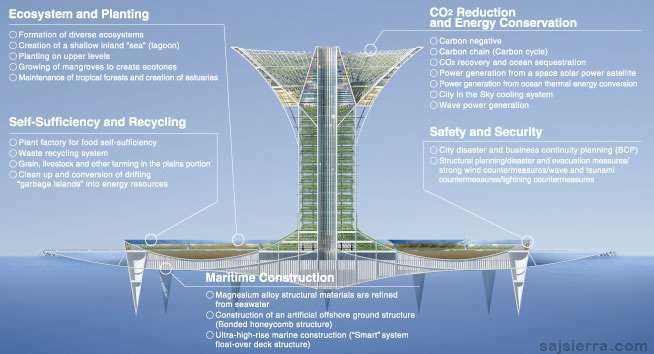 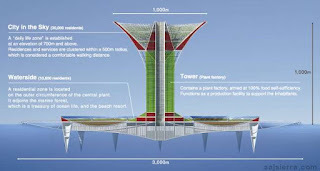 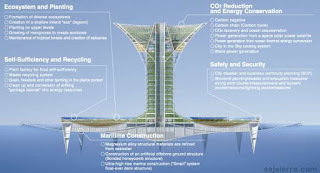 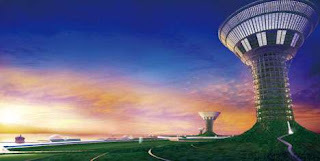 Green Float concept involves a number cells where each one is 1 kilometer wide. Each cell would be free to float on the Pacific Ocean but also can be joined together to form larger towns or cities.